When you need your drains cleaned, you want to get it taken care of quickly and professionally. Having a clogged pipe is tremendously frustrating and disruptive. Homeowners frequently make the mistake of trying to fix a clogged drain themselves and can make matters worse by pouring in caustic chemicals that aren’t up to the job and may even make the problem more difficult. Emergency Plumbers Chicago is able to offer you quick, reliable drain cleaning services that will get to the root of the problem and get your house back to normal. Call us today to set up an appointment for us to come out and help. A clogged drain needs immediate attention, and that’s what we’ll provide when you call Emergency Plumbers Chicago for drain cleaning services. But we’ll also take the time to explain exactly what caused the problem and give you valuable pointers on how to prevent the problem from happening in the future. Our goal is to make sure that you are satisfied with the service we provide so that you’ll trust us for all of your household’s plumbing needs, so we take the time to answer all of your questions and provide you with valuable information that will help you save time, aggravation and money in the future. There are a number of possible reasons for why you might need drain cleaning, and in many cases there is nothing that you did wrong. Though we certainly see a fair amount of clogs that are caused by hair, soap or hard water build up, and there are many instances of foreign objects getting stuck in pipes, drains also require cleaning because the roots of trees and bushes have grown into them, because drains have collapsed or because pipe sections were improperly installed or misaligned. 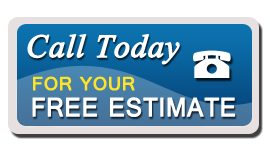 Whatever the cause of your problem, our professional highly knowledgeable plumbing team will be able to help. We’ll clean your drains out if that’s what is needed, and if they need to be repaired or replaced we are able to provide that service as well. Whatever the problem we will explain it in detail, tell you what the solution is, and get to work right away so that you can get your life back to normal. One call to us will get a quick response and get your pipes back to working order.